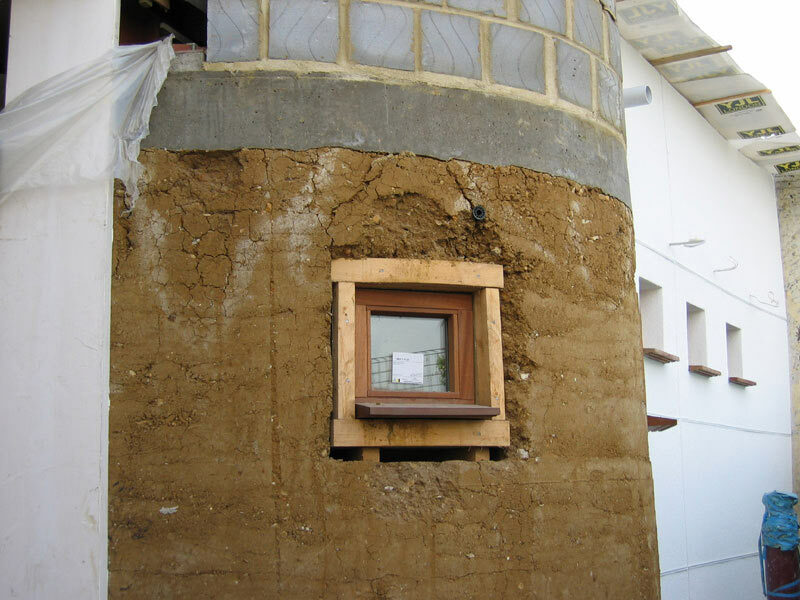 In 2003 the Centre for Structural and Architectural Engineering at the University of Bath announced that it was leading a DTI Partners in Innovation project called "Developing Rammed Earth Walls for UK Housing". The Project Partners and the Steering Group were made up of 15 different academic, semi-governmental and commercial bodies but only one earth builder; Rowland Keable, Insitu Rammed Earth Co Ltd.
As part of this project a pilot study would be performed using a real-life construction project - the Bird in the Bush nursery for the Southwark Primary Care Trust (National Health Service) and Tower Homes Limited. 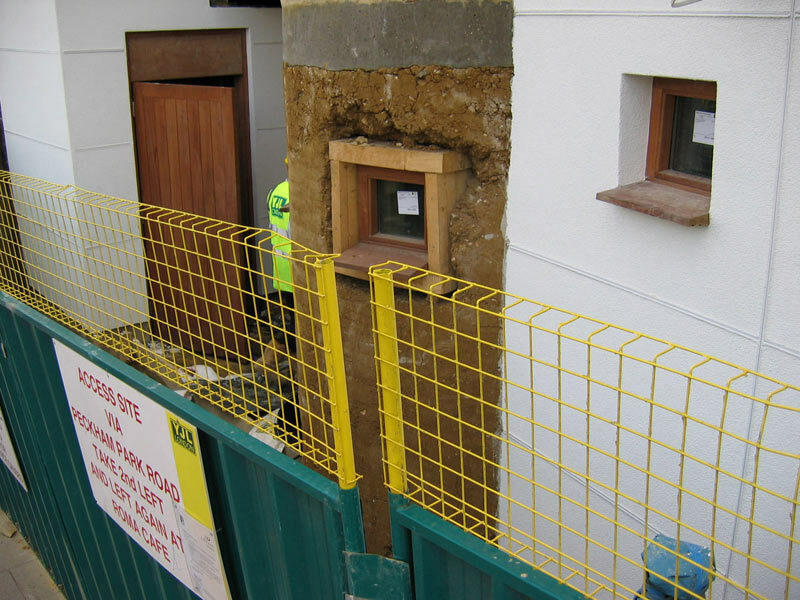 This was to be a new 4 storey building with load bearing unstabilised rammed earth walls forming the ground floor structure and supporting three floors of timber framed accommodation above. 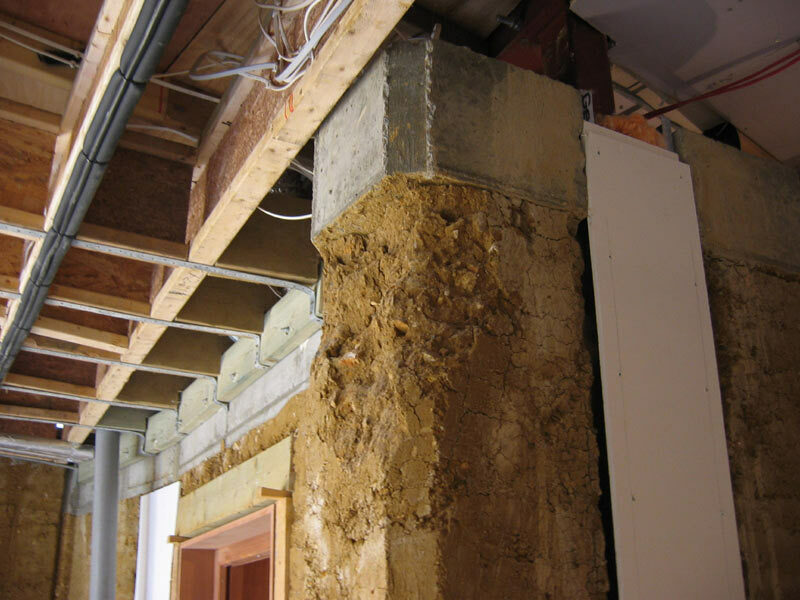 It was stated on the project website that the "University of Bath team will, in collaboration with other project partners, monitor quality and progress of the rammed earth wall construction…"
However, in May 2004 the project architect approached Earth Structures for assistance. 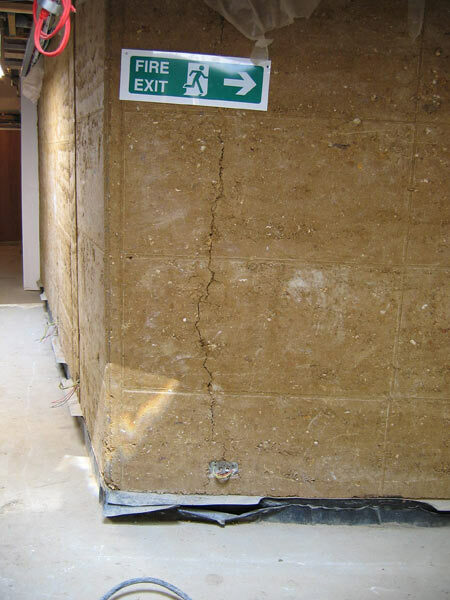 Insitu Rammed Earth Co Ltd had built the walls and left the site, despite the fact that extensive repair works to the walls was urgently required. It is notable that the "Bird in the Bush" Pilot Project was not included in the final report for the DTI-funded project: "Rammed Earth: Design and Construction Guidelines". 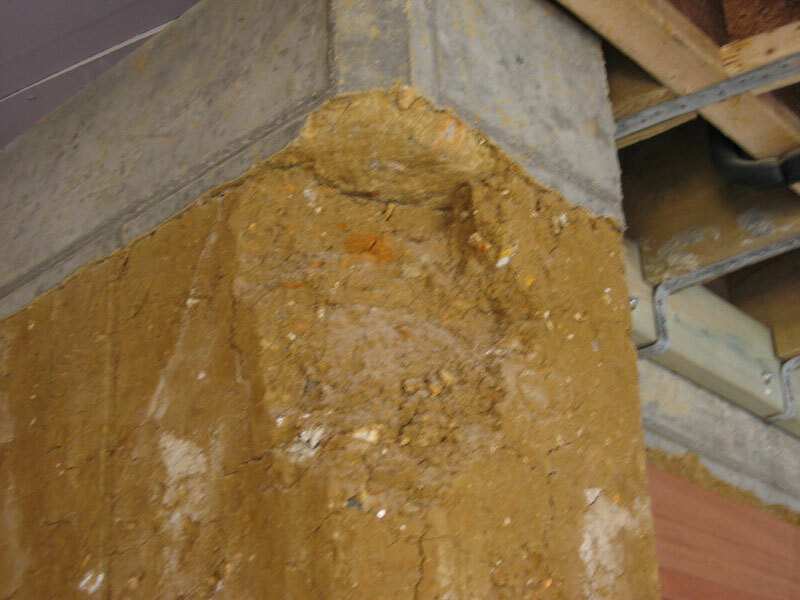 The unstabilised earth walls were showing serious faults which included: poor compaction, formwork movement, extensive distortion during drying and severe rain damage. The main contractor was being forced to consider demolishing the unstabilised earth walls even though the three floors above were still under construction. 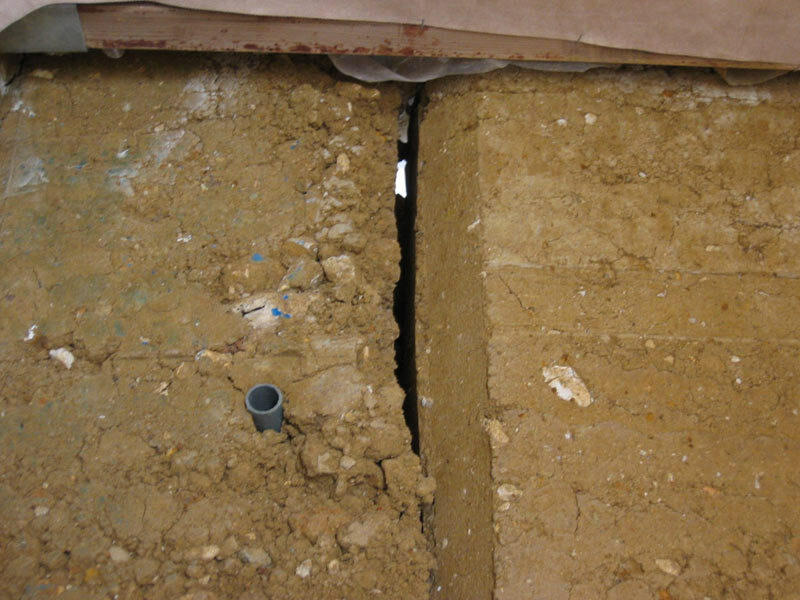 Earth Structures conducted a preliminary survey of the site, and the photographs below show what was found (click on thumbnails to view large images). 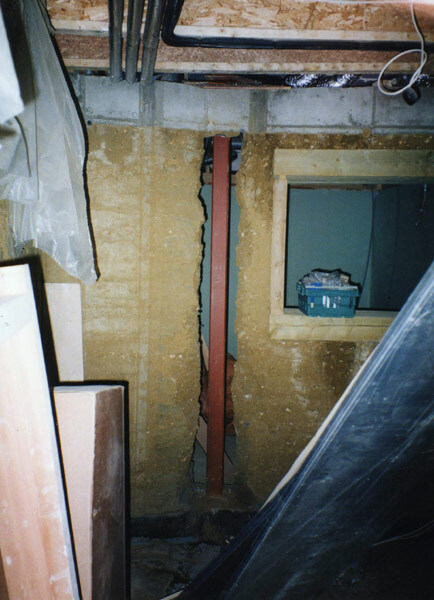 The project engineers had become so concerned about the apparent lack of structural stability in these unstabilised earth walls that they insisted sections were removed so that steel columns could be inserted to carry the load of the floors above, as shown in the pictures below (click on thumbnails to view large images). Although initially reluctant to become involved in what we saw as a poor concept badly executed, we also recognised that this was a building desperately needed by the main client; a charity for under-privileged children. 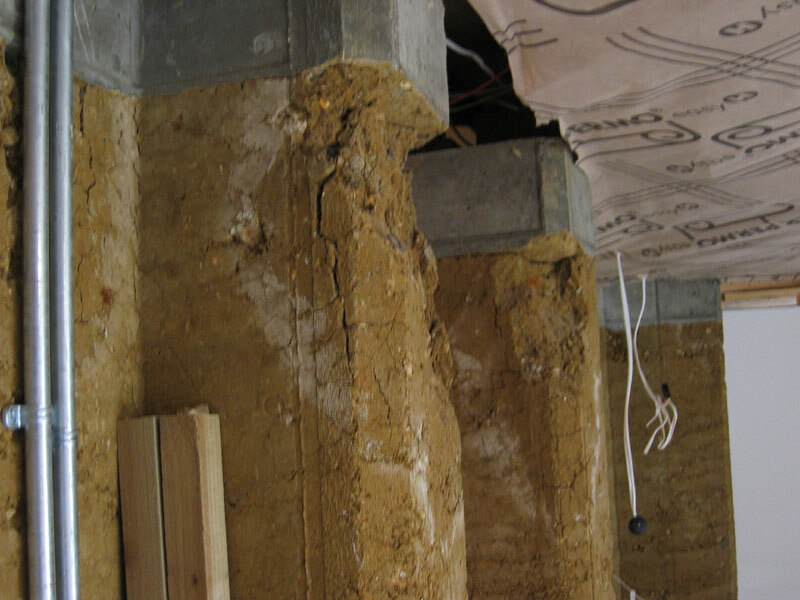 Earth Structures agreed to advise the architect and supervise a range of remedial treatments. 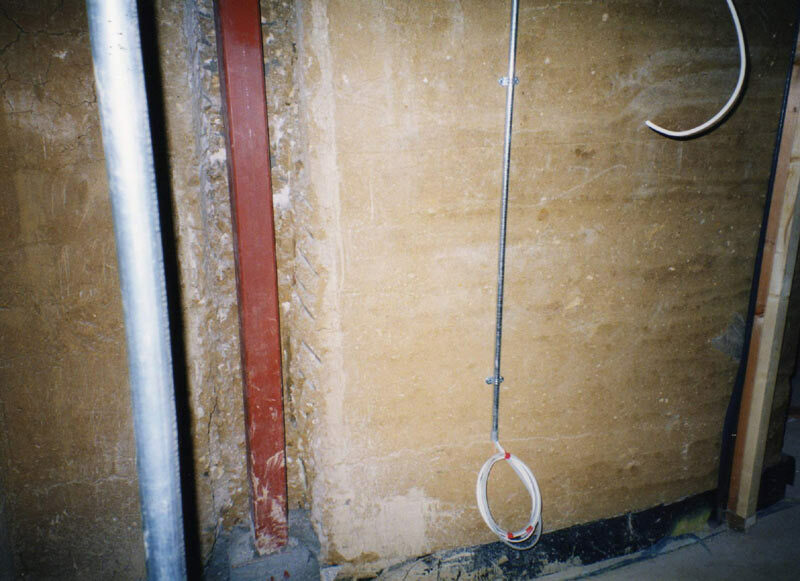 The exterior walls were protected with a waterproof proprietary cladding system. 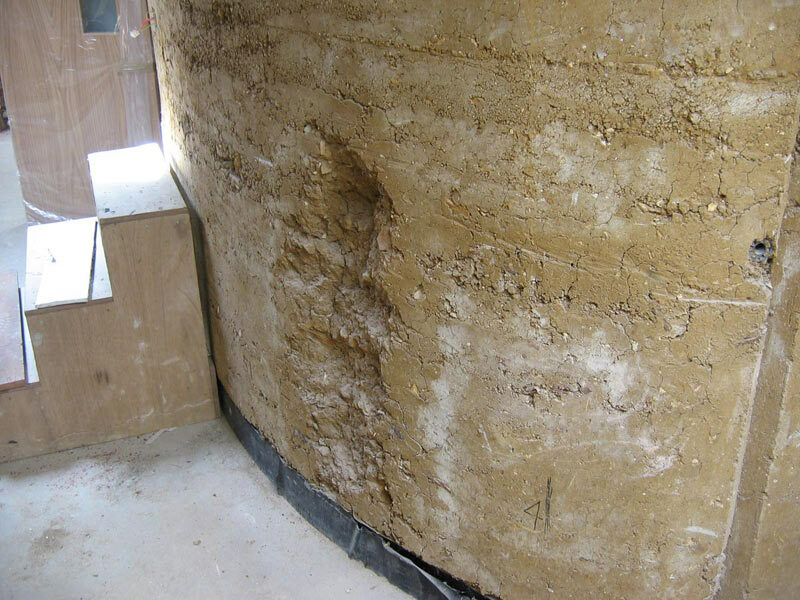 The internal wall surfaces were filled and coated with a BBA certified cement & lime-based render approved by English Heritage for use on historic buildings. 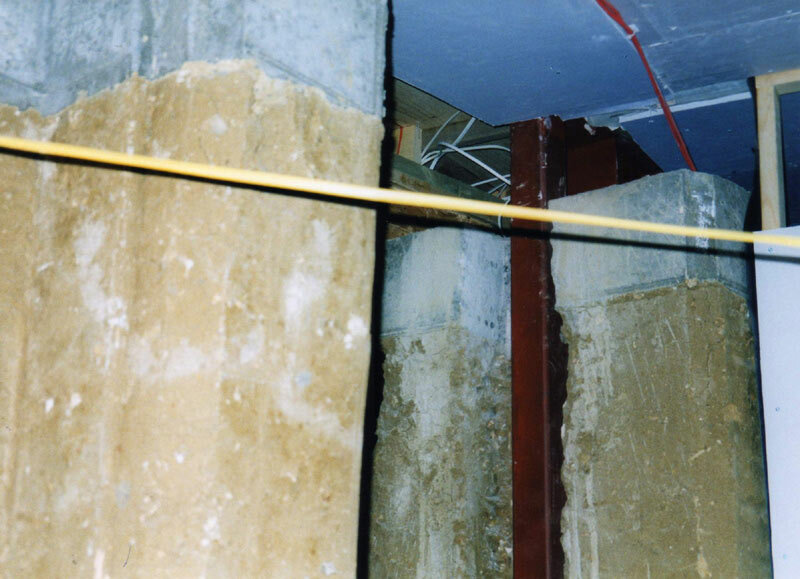 In a few areas where the internal surface of the walls was least damaged a transparent breathable sealant was applied so that users of the building could see what the walls were made of. 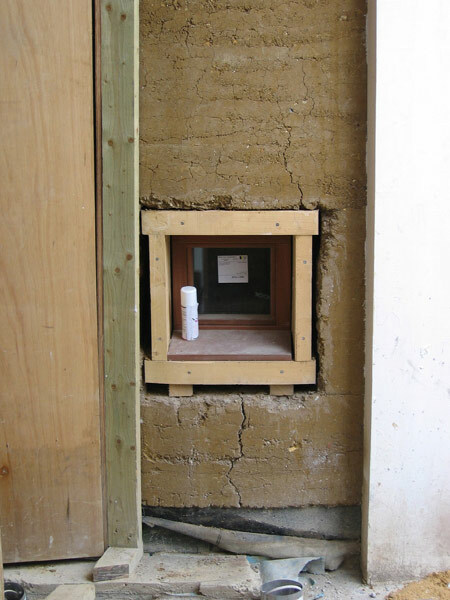 These treatments were accepted both by the architect and project engineer as the best available protection for what still remains a water-soluble material; unstabilised rammed earth. 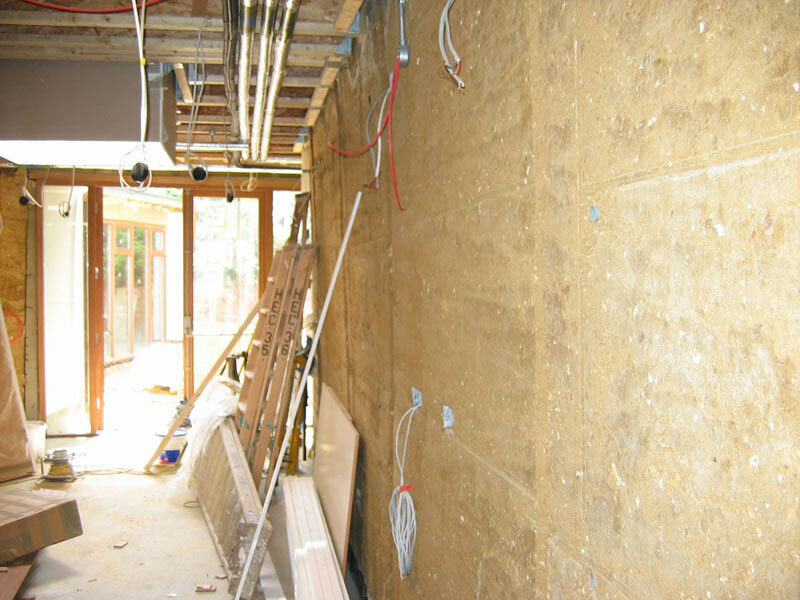 We have since been told that unfortunately the expert witnesses appointed to judge whether these walls were acceptable have decided that they are not and thus the walls will have to be removed and replaced with some other form of masonry before the building can be handed over to the client.